Experience NPR as a delightful magazine! 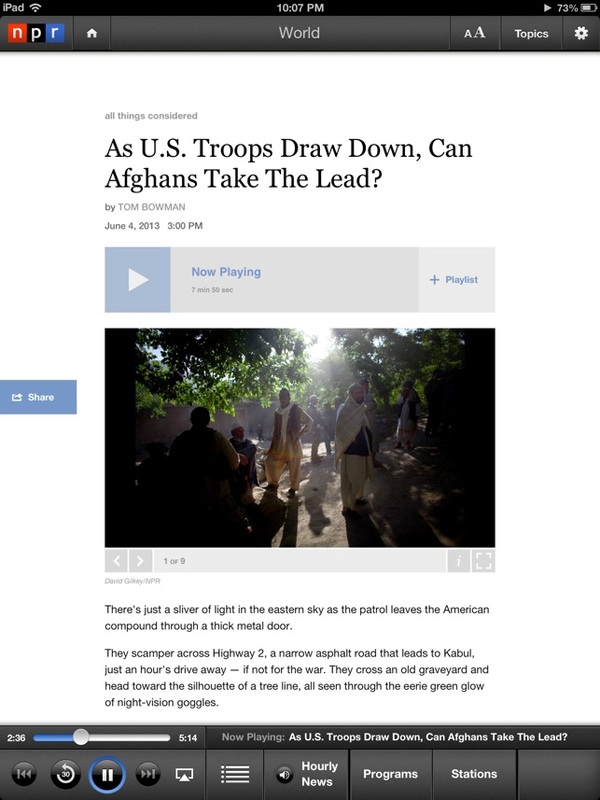 The NPR iPad app presents our award-winning storytelling as a seamless mix of audio, text and images in a clean visual design. 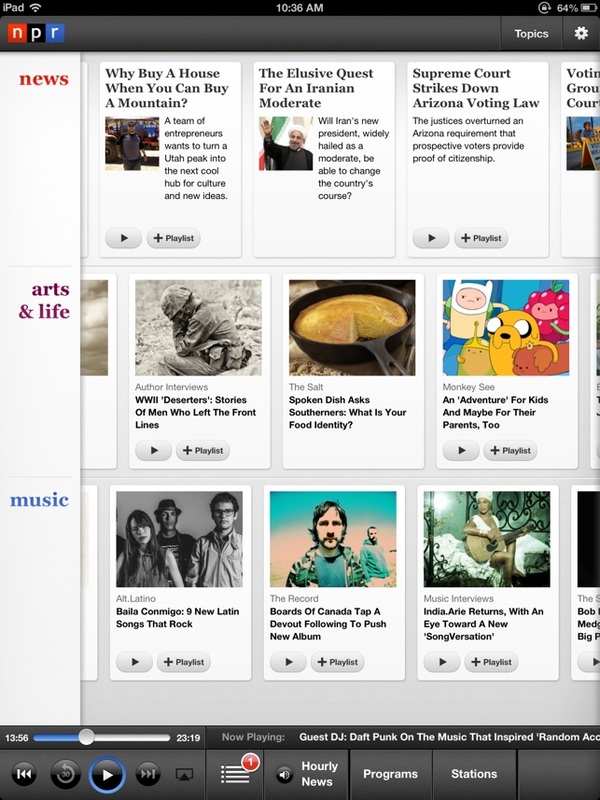 With a focus on News, Arts & Life, and Music, the app gives you content that’s broad, deep and timely. It's NPR like you've never seen us before. - Browse through dozens of Topic "tapes" organized under the main categories of News, Arts & Life, and Music. 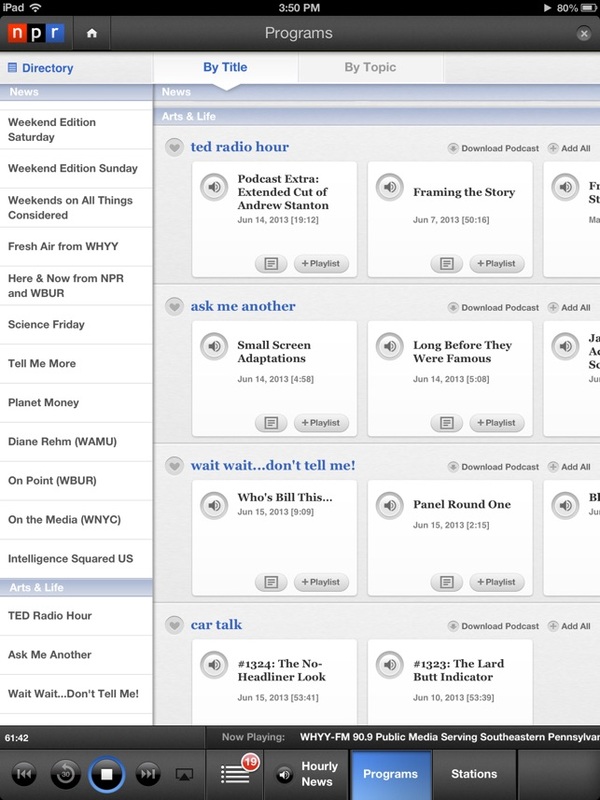 - Read stories while listening to live stations or on demand audio. 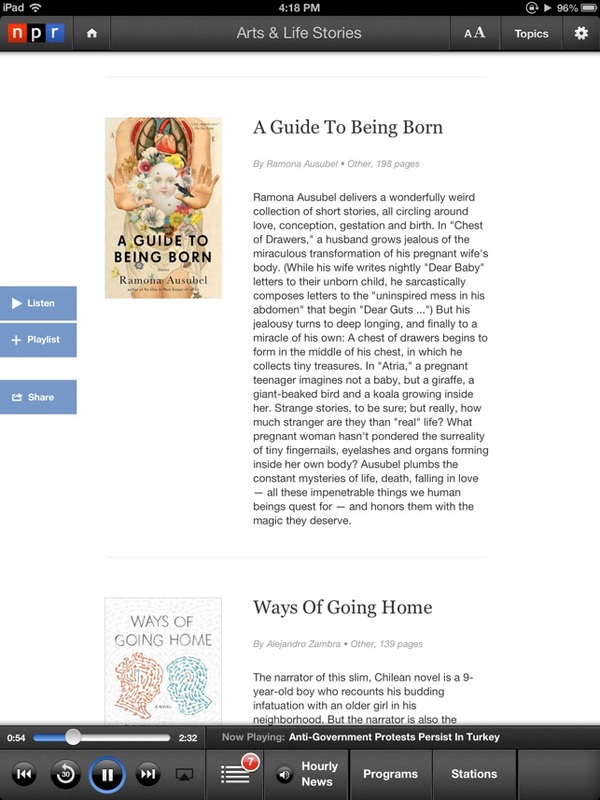 - Download stories for offline reading. - Select from hundreds of NPR stories, and stations’ live and on-demand streams. - Add favorite stories to your playlist. - Persistent audio player includes one-tap access to your Playlist, Hourly Newscast, Programs and Stations. - Expanded Station Finder feature lets you find a station by location (GPS) or searching by call letters, zip code, city or state. - Bookmark your favorite station streams and podcasts. - Our full-screen program guide provides information about each story and tells you where your favorite programs are playing live now. - Listen to Morning Edition, All Things Considered, Fresh Air, Wait, Wait...Don't Tell Me! and more – anytime, anywhere. - Bookmark your favorite programs and topics. "This is one of those iPad apps where the brilliance is almost invisible, because they just did things the right way. 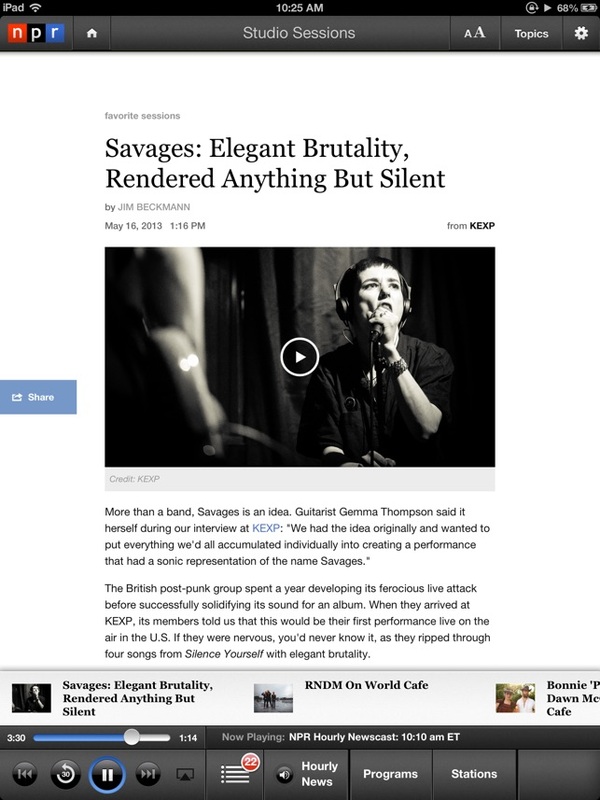 The navigation is intuitive, the design is clean..."
The NPR for iPad app supports iOS 8 and above. 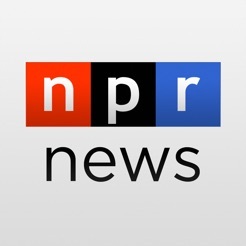 We've improved NPR for iPad's performance on the latest versions of iOS. We've also resolved many of your reported issues with app performance and bugs, specifically around station streaming. It also lacks a volume control, which is pretty unusual for an app like this these days. The slider viewing panes for segments is a nice idea, but without a search function, and considering how sensitive the buttons are to touch (one is trying to scroll and choose to add to playlist but instead a segment is selected and starts playing). UPDATE: The kind folks at therapy took on board the crashing issue and managed to get it fixed. Works no flaws now with latest update June 2014. Thanks NPR web app folks, well done. The best news application out there. News articles are not trivial little summaries, but the content is presented in depth. Some articles can even be read aloud. As a software developer I recommend this app, which has been well thought out. Missing search feature (which is available in the iPhone app). Other than that a good app.